Graham Evans of The O'Connell Group has been our valued client for more than ten years, so it was a pleasure to revamp his website earlier this year. 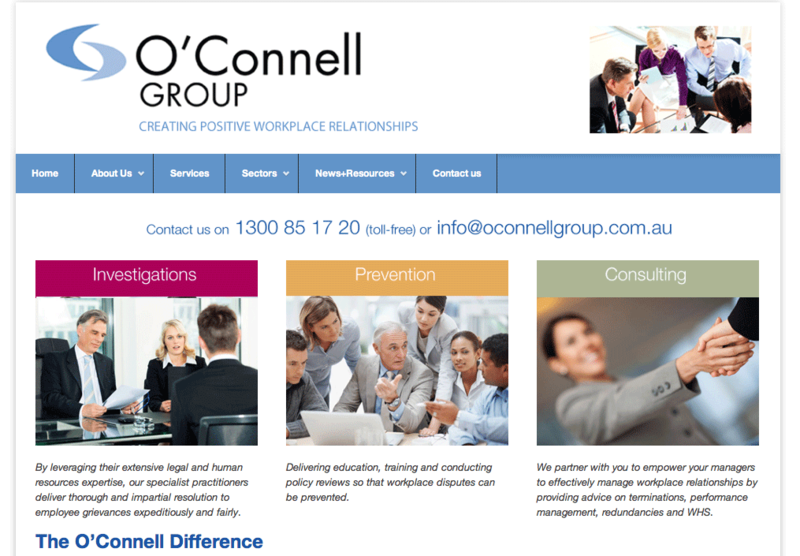 Visit oconnellgroup.com.au and have a look at the slick Services page with the side tabs; a cool way to display your capabilities. We pulled newsletter feeds in from MailChimp for this site too, as well as designing headers for Graham's newsletters.